Managing countless programs on your desktop? Use the power of Marbnet database! 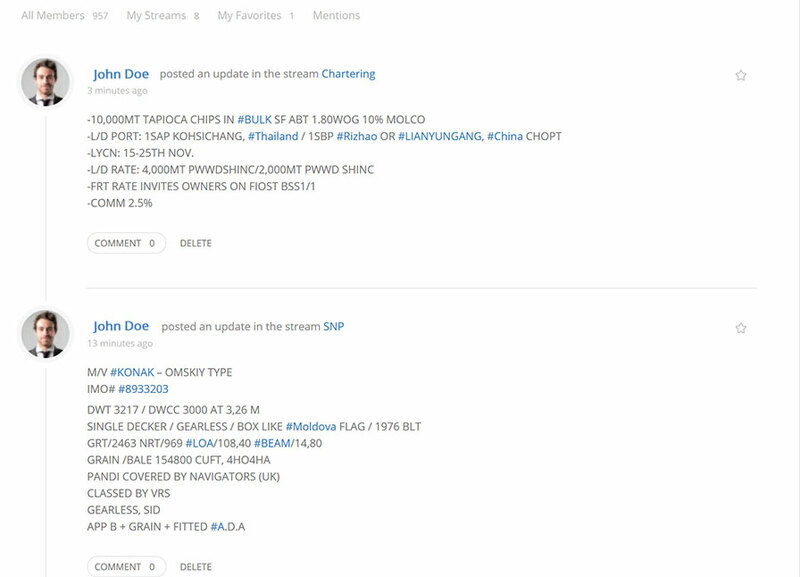 Post your enquiry and Marbnet will automatically store it with port and vessel type criteria. You can always select who can view your enquiry. 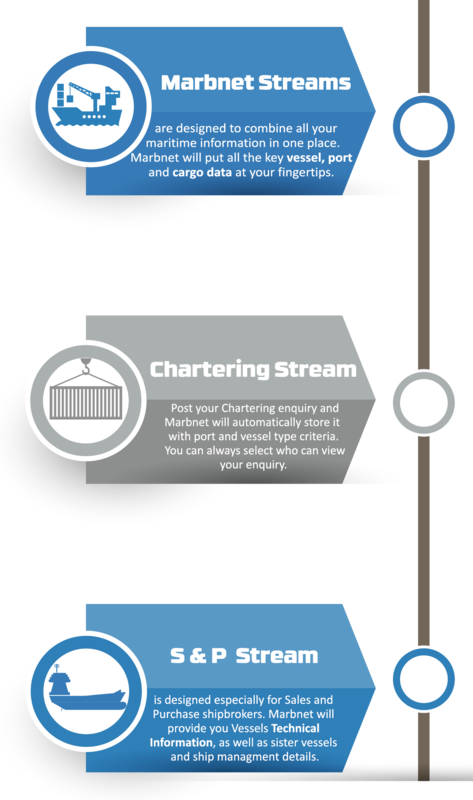 Chartering stream is designed to combine all your chartering information in one place. Offering a user-friendly and intuitive interface that will put all the key vessel, port and cargo data at your fingertips. Stop struggling with unwieldy, time-wasting methods of sorting relevant data. No need to sift through an immense amount of e-mails, tabbing between programs to extract the information you require. With Marbnet, you will have access to an extensive database with multiple functions in ONE easy-to-use platform. Get a complete view of the current state of the dry bulk shipping market and gain easy access to the historical and statistical market information that will prove invaluable to your enterprise. We designed this complete set of online tools and databases for the shipping industry, saving your and your colleagues’ time and effort by putting your key vessel, cargo and calculation information in one place. Examples of enquiries that can be posted on Marbnet Chartering stream. Grains, Fertilizers, Steels, Sugar, Biofuels. Crude oil / Fuel Oil / Bitumen. Gasoline / Gas Oil / Naphtha / Jet / Dpk. Palm Oil / Sun Flower Oil / Mtbe / Methanol / Molasses. Extra Heavy (generators, wind mills) / Voluminous (main ducts, yachts, steel constructions) / Rollstock Cargoes (excavators) / IMO – Dangerous (explosives) etc. Door-to-Door Services. From ex-works to end user in worldwide basis (incl. ocean/air/road/rail transportation). FCL / LCL. Cement Carriers, RoRo, RoPax, Barges, Floating Cranes, Tugs etc.